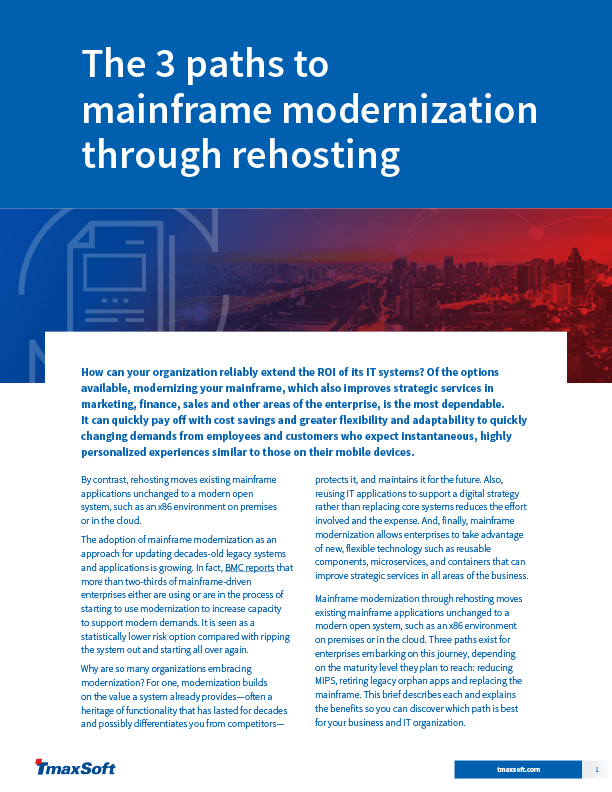 It’s time to seriously think about modernizing your legacy mainframe. It can quickly pay off in lower costs and greater flexibility. Read our free guide on the three paths you can take, and how OpenFrame can pave the way for each. OpenFrame is a proven mainframe rehosting solution that can be rehosted in any cloud environment, including AWS and Microsoft Azure. Using OpenFrame, you can replace your mainframe, reduce your MIPS or migrate your orphan legacy apps to the cloud.